hese are held in the respective labs according to prescribed syllabus to develop psychomotor skills, ability to observe, verify and to reach on logical conclusions. Clinical Demonstrations are given with an objective to develop technical skills in the students and to illustrate how to perform an act procedurally. 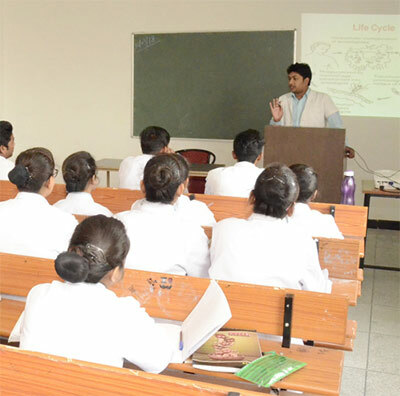 Clinical Teaching – Students are sent to the various wards and departments for developing better skills and have a direct interface with the patients which enables them to improve their nursing care, techniques and skills. Skill development lab has been developed considering the need for teaching through simulators. Here the trainer exposes the students for conducting specialised procedures on live like simulators before practicing on patients. A demonstration of various organs, nerves & senses given to the students through sophisticated software fitted mannequins. 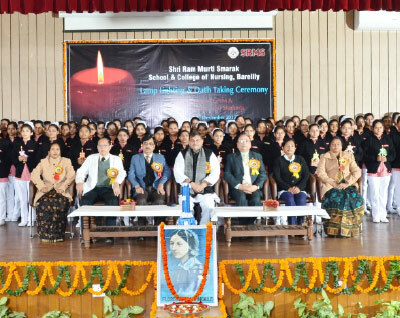 Every year a Cultural & Sports event is organized to developed and showcase extra curricular skills of the students. Various competitive events like dance, singing, rangoli, mehandi, art competition, drama, quiz, debate, Cricket, badminton, chess, table tennis, carrom, track & field are organized.